Dr. Ishrat ul Ibad, Governor Sindh, has launched and laid the foundation stone of another flyover project in Liaquatabad at Dakkhana Karachi. The project will be completed in the next six months and has an estimated cost of Rs 369 million. Shahrah-e-Pakistan is an important road that connects the city to Superhighway. Besides 6,000 buses and minibuses, heavy traffic and private vehicles pass through this corridor on a daily basis so the flyover project was launched over here to make this road signal-free to improve the traffic flow. 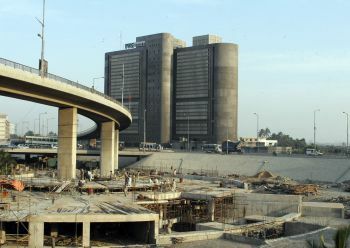 The administrator of Karachi Metropolitan Corporation, Muhammad Hussain Syed, told the governor that the three-lane and 460 metres long flyover will be completed with a cost of Rs 369.978 million.